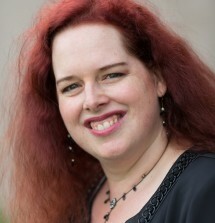 Jennifer Carole Lewis is a full-time mom, a full-time administrator and a full-time writer of paranormal romance, which means she is very much interested in speaking to anyone with a functional time-travel device. She is a member of the Ottawa Romance Writers’ Association and the Romance Writers of America. She is a devoted comic book geek and Marvel movie enthusiast. She spends far too much of her precious free time watching TV, especially police procedural dramas. Her enthusiasm outstrips her talent in karaoke, cross-stitch and jigsaw puzzles. She is a voracious reader of a wide variety of fiction and non-fiction and always enjoys seeking out new suggestions. You can find more about Jennifer Carole Lewis and her books at http://www.jclewis.ca, including her monthly Heroine Fix about the strong female characters who inspire her writing and her monthly Hidden Diamond feature about authors who write amazing paranormal romance and romantic suspense. You can also find her on Facebook, Twitter (@jclewisupdate) and Instagram (Jennifer_Carole_Lewis).